Summer time is equal ice cream time! 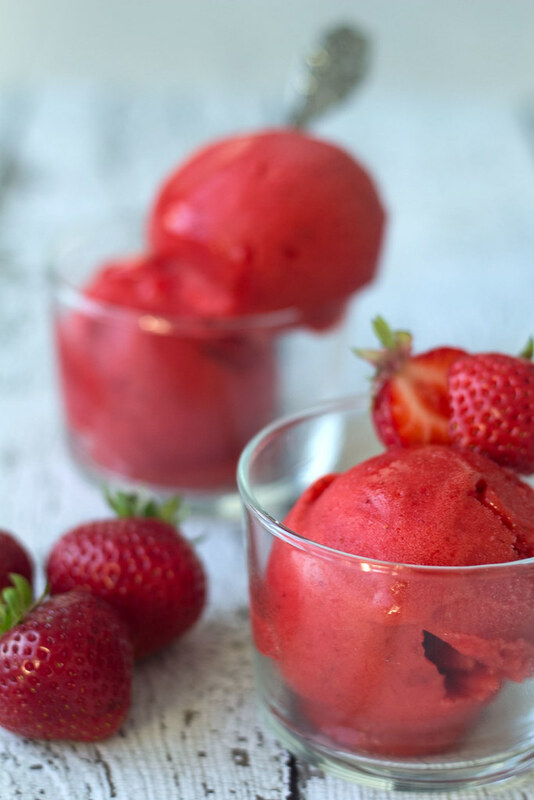 All kinds of ice cream are amazing but in the summer time a strawberry sorbet can be a great and refreshing alternative to regular ice cream. 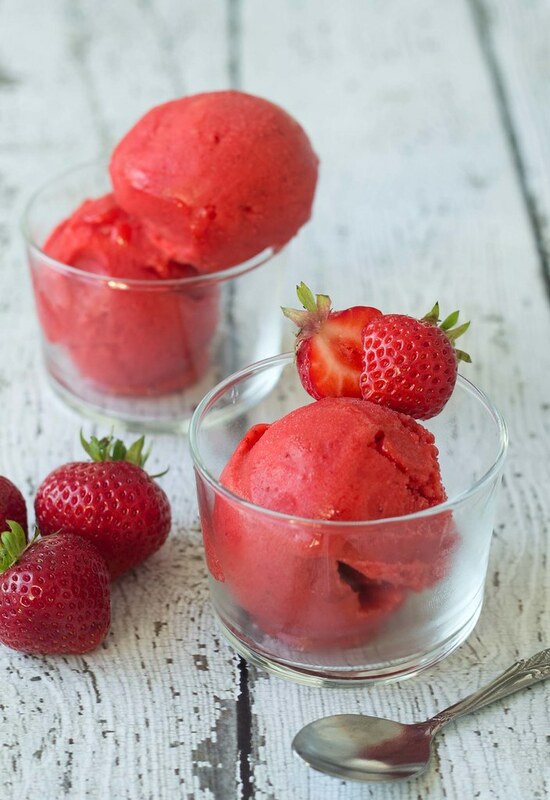 This sorbet has a wonderful taste and has a strong and natural taste of the fresh strawberries. 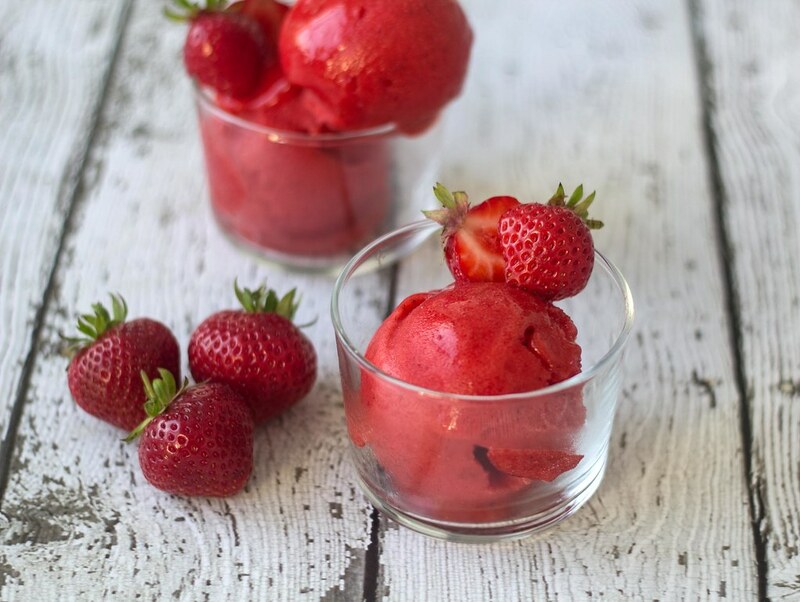 At the same time this sorbet has the most amazing color which makes it both tasteful and visually beautiful. The portion of sorbet I made was not that large but it can be scaled easily to fit you needs. 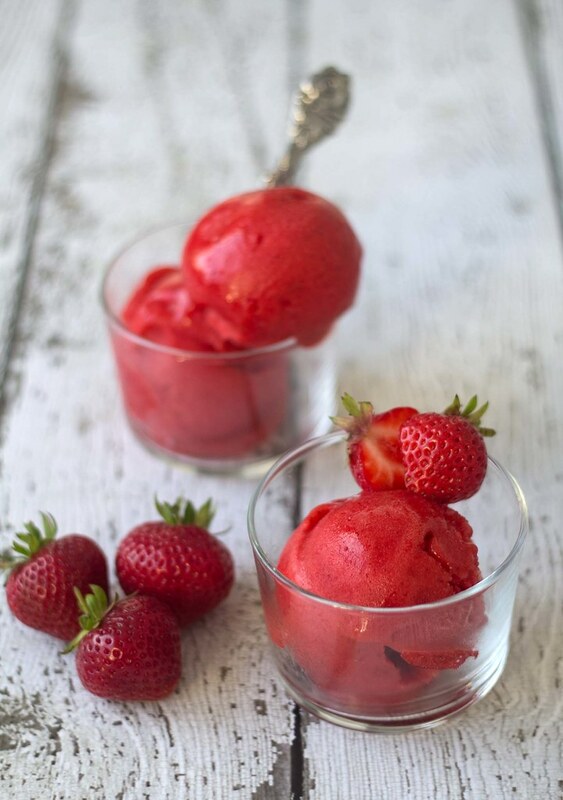 I made my sorbet using my ice cream maker which is able to make 1 liter of sorbet – But you can also use your freezer. 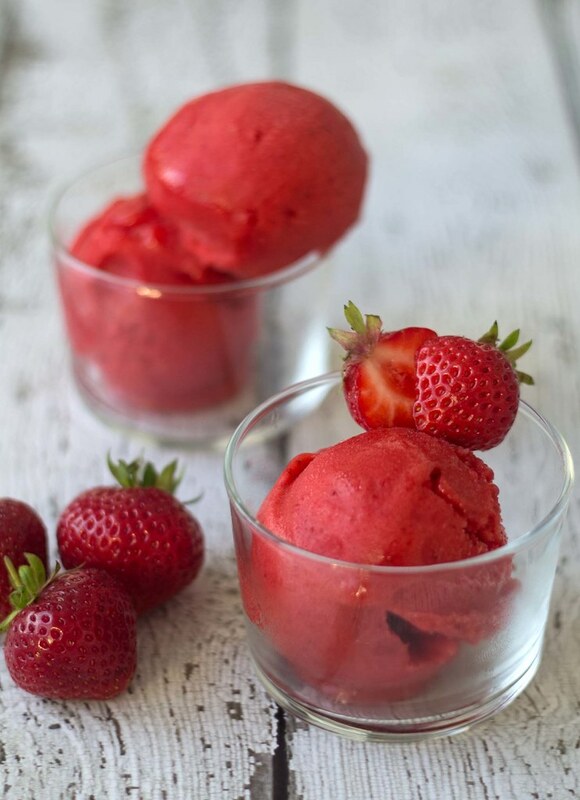 This sorbet has an amazing taste and is perfect for the hot periods and is a healthy alternative to regular ice cream. 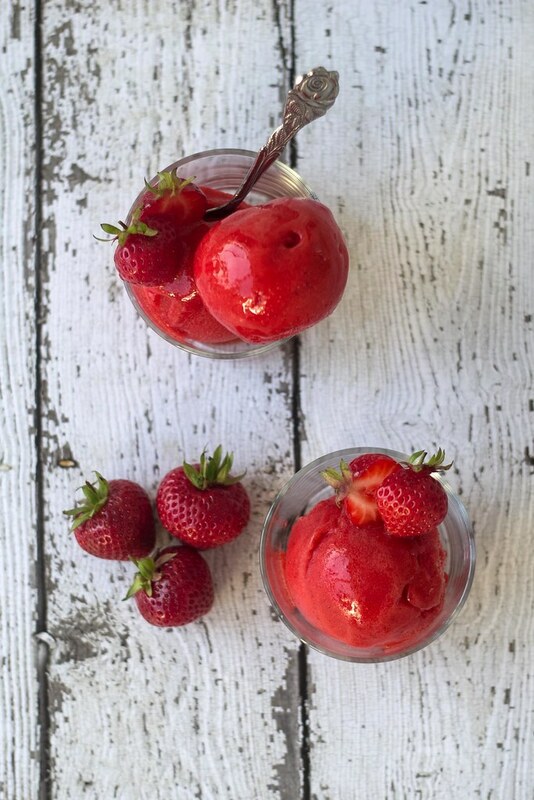 If you are looking for other ice cream recipes you can take a look at our recipe archive. Step 1: Mix sugar, lemon juice, corn syrup and water in a saucepan and heat it up to boiling point. Keep it boiling until all the sugar is dissolved. 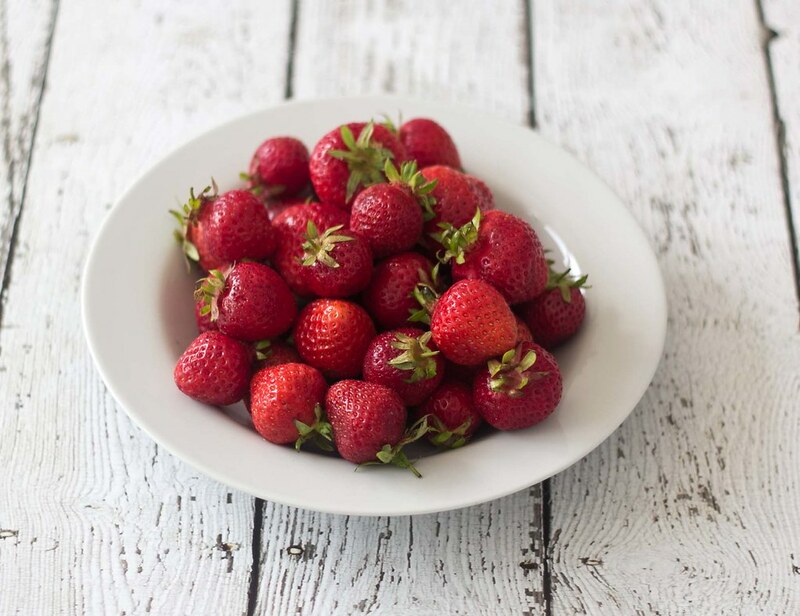 Step 2: Rinse and clean the strawberries using a bowl of water. Remove the stem using a small knife. 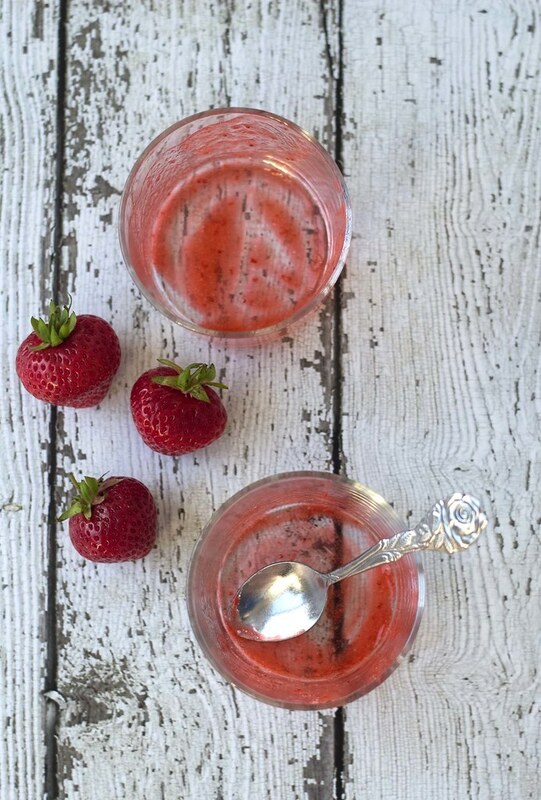 Step 3: Use a regular or hand blender to blend the strawberries into a nice and smooth puree. Step 4: Pour in the sugar water and blend till everything is mixed. Step 5: Using an ice cream maker to make the sorbet. 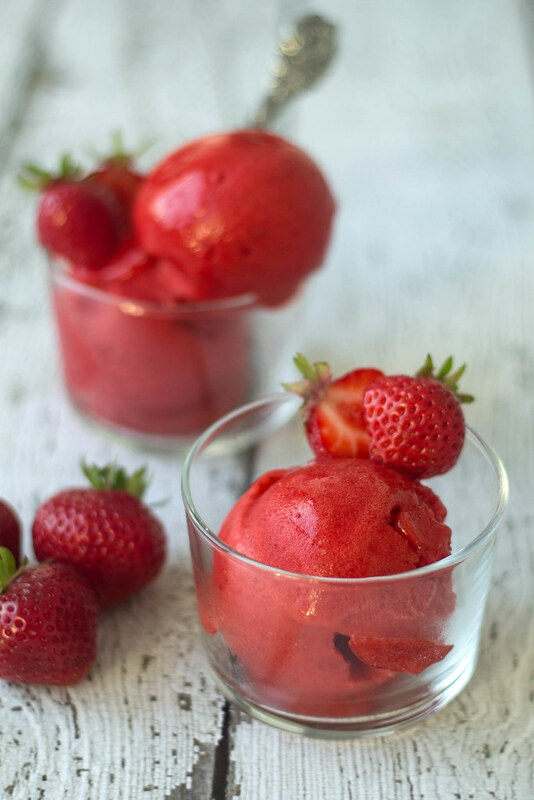 You can also use your freezer but remember to stir the sorbet every second hour to avoid ice crystals. Made this sorbet after trying a different recipe that had too much lemon. This recipe was perfect, easy to make and very delicious. Substituted agave syrup as I didn’t have any corn syrup. Thank your for your comment, great that you liked our recipe.